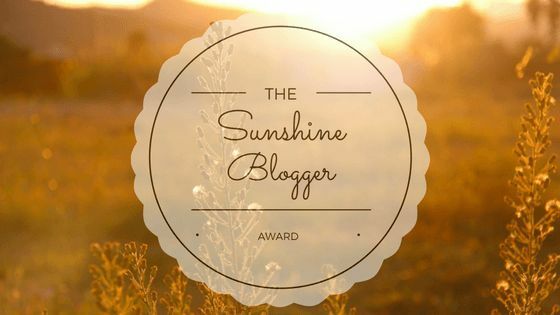 Use the “Sunshine Blogger Award” logo on your post. What is the one dish you like to cook? That’s hard to narrow down, but I do love cooking anything Italian. How would you describe your favorite pair of shoes? The slip-on sneakers that I have in several colors are like wearing slippers. I love them! What was the best thing you did last week? Meeting up with a group of friends for our personal anxiety group in the park. Beautiful atmosphere, and great conversation to work on our anxieties. If you could have lunch with one author (living or dead) who would it be and why? Harlan Coban. He writes mysteries that take place in the state of New Jersey, (Where I reside). His stories are so fast-paced and exciting, I can usually blast through one of his books in a matter of 2 days. I would love to ask him about his inspirations, and how involved he gets with the forensics and police departments within the region. What kind of snack do I like to add to my ice cream? I don’t usually add snacks to my ice cream, but I do love butterscotch topping with sprinkles. If you could return to any decade and visit a movie set, which would you like to see and why? Hmmm, never thought of it before. 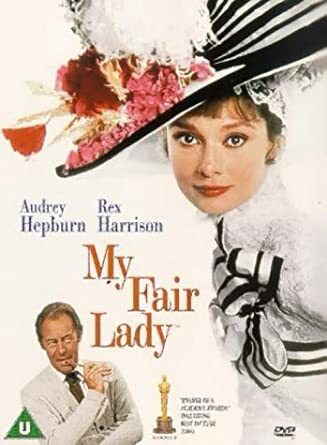 I’m such a fan of “My Fair Lady” back in 1964 for the actor, music, and the elaborate costumes. 8. What advice would you give your younger self? To stay and/or go back to college. Education is so very important. 9. What is the one food you just can’t eat? Brussel Sprouts. 10. If you could earn a gold medal in any sport, what would it be and why? Ice skating. I love how dainty and eloquent as they move across the ice. Truly beautiful. 11. What is something you wish you could add to your blog and why? Open up topics to engage people for an open forum type discussion. Are you a morning or evening person, and why do you prefer one of the other? Do you like cooking in the kitchen or do you prefer Barbequeing? If you were to make a meal for dear friends, what would you serve them? Who is your favorite band or solo artist, and why? What is your favorite activity/hobby you enjoy doing that relaxes you? Do you sing while taking a shower? If so, what do you usually sing? When you were in school, what was your favorite subject and why? If you had the choice to go anywhere in the world, where would you go and why? If you could meet any actor/actress, who would it be, and what would you want to ask them? I look forward to all your answers! Lol! I hope Sandra participates! I’m laughing already because I’m imagining her response! She deserves it though! You too precious! 1. Are you a morning or evening person, and why do you prefer one of the other? In later years, this has changed for me. I was once a night owl but these days I prefer the early (pre-sunrise mornings) because I love watching the sun pulling itself up out of night’s slumber. I also love the quiet of early mornings. 2. Do you like cooking in the kitchen or do you prefer Barbequeing? I prefer cooking in the kitchen, though I do like to barbecue from time to time. I am hands on when it comes to food prep and sometimes find it boring to simply flip meat and veggies on the bbq. 3. If you were to make a meal for dear friends, what would you serve them? My friends love seafood so I would serve an appetizer of crab dip and veggies, a main of fresh mussels, lobster, cod and salmon (with salads) and perhaps a berry topped cheesecake for dessert. 4.What is your favorite childhood memory? I have so many but my favourites include playing with dinky cars outside and sailing toy boats in the cove. 5. Who is your favorite band or solo artist, and why? Canadian folk artist, Stan Rogers (who passed away in the 1980s) is my all time favourite artist/singer/songwriter because he wrote about common folk doing common things. He also had a great voice and his songs are great poetry. 6. What is your favorite activity/hobby you enjoy doing that relaxes you? Playing an instrument is at the top of this list but I also enjoy reading, writing and watching my favorite tv shows or movies. 7. What are you most grateful for? Being born in a large family in a small village where I was raised by wonderful parents who demonstrated how to love one another and how to enjoy life. They also taught us to give of ourselves to those who have less or to those who are suffering. That is something I will always be grateful for. 8. Do you sing while taking a shower? If so, what do you usually sing? All the time. whatever is in my head at the moment! 9. When you were in school, what was your favorite subject and why? It’s a tie between Social Studies and English Lit. I love to read and learn things about the past, including the impact the movements of peoples have had on our world. I also love how literature can also teach us about people, places and times. 10. If you had the choice to go anywhere in the world, where would you go and why? I would go to France to try and find that part of my family’s lineage. And, I’ll be 56. Yuck!